A direct descendant of the HK416, the MR556A1 is a semi-automatic rifle developed as a premium level commercial/civilian firearm with match rifle capability. The MR556A1 uses the HK proprietary gas piston operating system, employing a piston and a solid operating pusher rod in place of the gas tube which virtually eliminates malfunctions common to direct impingement gas systems since hot carbon fouling and waste gases do not enter the receiver area. The MR556A1 uses the HK Free Floating Rail System (FFRS) handguard with four MIL-STD-1913 Picatinny rails, and a machined Picatinny rail on the upper receiver. Major sub assemblies, including the MR556A1 upper receiver/barrel assembly, are fully interchangeable with other high quality AR-style firearms. The thick, heavy contour 16.5" barrel has 6 lands and grooves with a 1:7 " twist, and is moderately swagged with a slightly smaller internal diameter at the muzzle end than the chamber end for better bullet accuracy and velocity. A precise, enhanced two-stage trigger adds significantly to the accuracy of the MR556A1, and an extended latch charging handle makes operating the rifle with a telescopic sight easier. 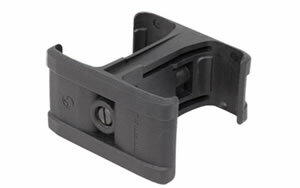 The retractable buttstock can be locked into a solid, non-moving position by tightening an Allen screw in the bottom of the stock. 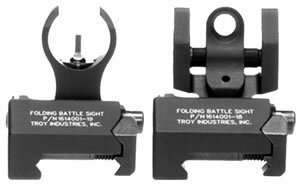 Special target rifle take-down pins ensure the upper and lower receivers are firmly mated for accurate performance. Designed to function with a wide variety of high quality 5.56x45mm ammunition, the MR556A1 uses a C.I.P. dimensioned chamber, and functions reliably with most quality 223 Remington ammunition. The MR556A1 is produced in the USA using American and German made components. The MR556A1 is being produced with the same commitment to quality as German-made HK firearms. By using joint U.S./German manufacturing, Heckler & Koch leverages the relative strengths of two continents to make the preeminent AR-type firearm, combining the designs innovations of the USA and Germany into one new product.